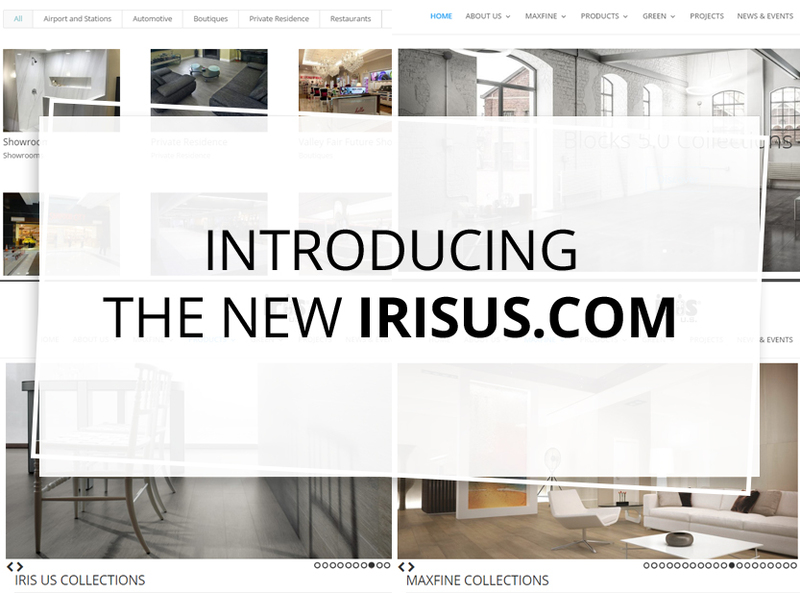 For the upcoming Coverings 2017, IRIS US has renewed the website: new sleek design easier and quicker to navigate. The latest collection and news will be highlighted in the homepage in order to keep up with events and communications about IRIS US. Discover the new MAXFINE section, dedicated to the porcelain panels world from FMG, the next generation of porcelain tile. Use the F.A.C.T. contact form to ask information about our installation training courses. Textures, ambient and all information about our collections are available in the PRODUCTS page, where is possible view and download our catalogs. The new IRIS US site includes extensive product information to help customers understand IRIS US complete range of surfaces solutions. Technical data, ambient and application work together to provide a detailed overview of capabilities across a wide range of application (residential, commercial and outdoor). The new website design is responsive to look perfect on all different mobile device. We wish you a good navigation!